Businesses in Fort Worth, Texas, that rely on Kennametal cutting tools in their day-to-day operations should turn to the industrial supply experts at CRC Inc. of Texas. 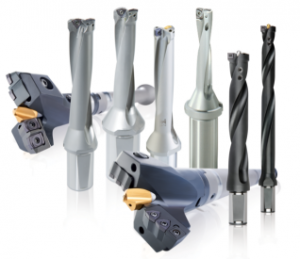 We offer a comprehensive selection of Kennametal tools, but the value of partnering with our industrial supply company goes far beyond our product offerings. With years of experience and staff members devoted to providing outstanding customer support services, our team is one you can count on to help you identify the right products for the job and to provide those products quickly. Plus, CRC Inc. of Texas was recently acquired by Wm. F. Hurst Co., LLC, one of the Midwest’s leading industry supply companies, bringing a pair of highly regarded distributors known for providing high-quality Kennametal products and exceptional customer service together on one team. To ensure that our customers receive the best service possible when it comes to Kennametal tools, all of our employees have successfully completed the Kennametal’s Certified Metalcutting Professional program. This training has given our representatives the expert knowledge necessary to recommend tools from this specific brand that can enhance processes and reduce costs within your operation. 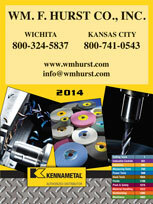 Contact us today to learn more about the Kennametal cutting tools that we have available for businesses in Fort Worth, TX, and the surrounding area.